Description: Sports Solution Logo Card Sets give you "cards" that have been printed with your favorite college's licensed logos or mascots. Use in paper crafts, scrapbooking, card making, as gift tags, or party decorations. Washington State- 4"x 4" cards, 2 each of 3 styles. 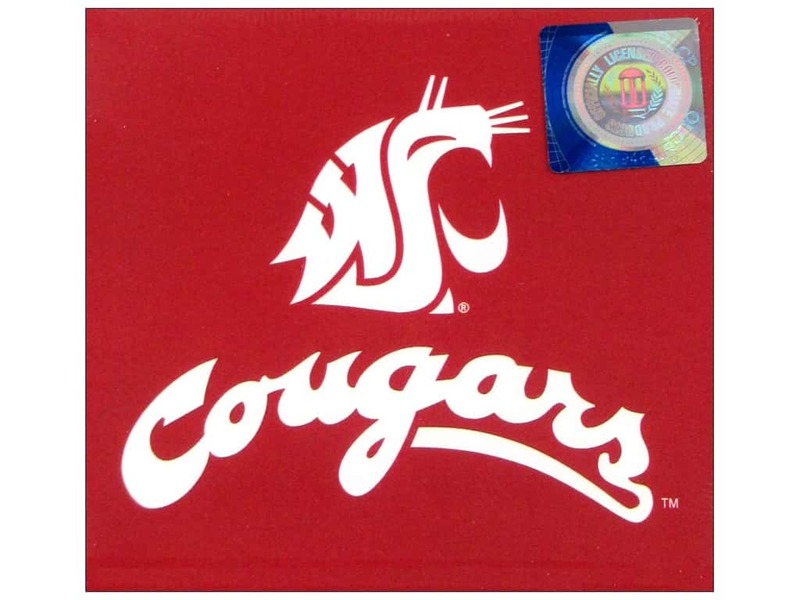 They include; a Red background with mascot in White and below the mascot in "Cougars" also in White, a Grey background and "Cougars" in Red and outlined in White and a Red background with the mascot in Red and outlined in Grey. See more Sports Solution Logo Card Set.